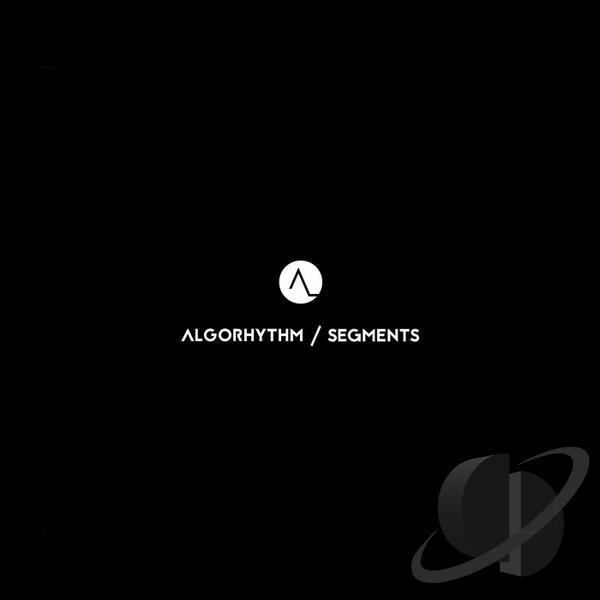 The band Algorhythm is a fresh breeze on the Polish music scene. Thanks to the cooperation of the five artistically different individuals, in January 2013, the multifarious musical project that oscillates between melancholy and impulsiveness, musical geometry and spontaneous abstraction, came into existence. 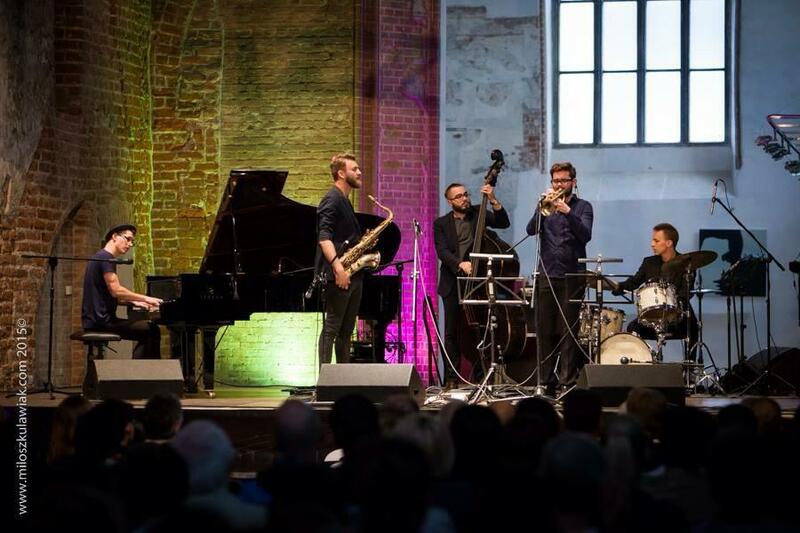 In their compositions, Algorhythm explores areas of contemporary music with the sound of jazz quintet. "This is the debut album by the young Polish Jazz quintet Algorhythm, which comprises of trumpeter Emil Miszk, saxophonist Piotr Checki, pianist Szymon Burnos, bassist Krzysztof Slomkowski and drummer Sławek Koryzno. It presents seven original compositions, five by Burnos and two by Miszk. All three soloists perform splendidly and play several impressive passages and the rhythm section does a superb job supporting them all the way through, handling the complex rhythms elegantly and flawlessly. Again Checki seems to be the most impressive soloist on this album, but his colleagues are all gifted musicians and in time are sure to join the ranks of top Polish Jazz players. This is definitely an impressive debut, which deserves praise and support and as always makes me wonder how such young people are able to produce such mature and well developed music. Well done indeed!" I haven't been to the Delaware Water Gap in Pennsylvania in years. 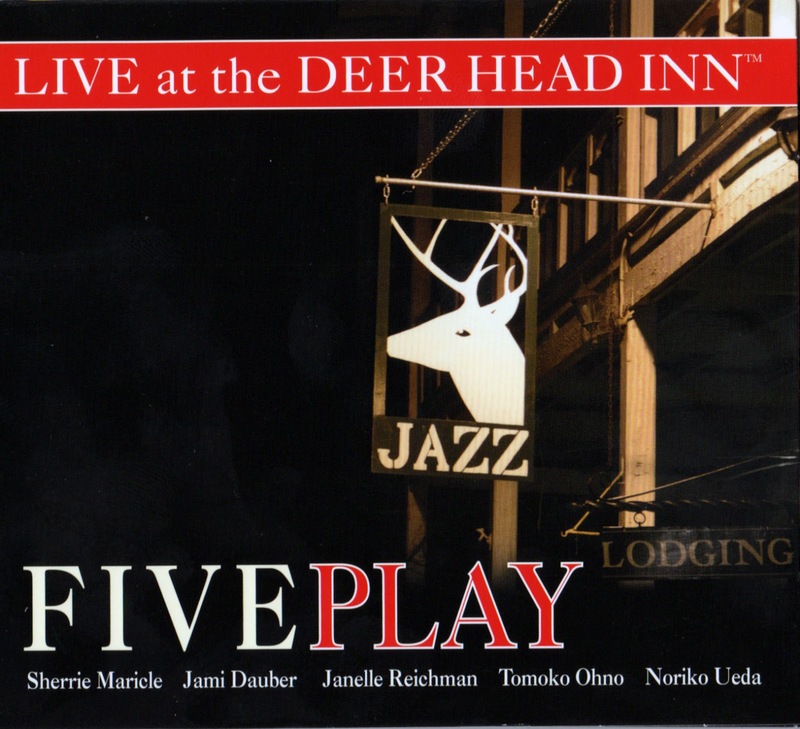 But if I make it there, I hope to time my visit to coincide with Five Play at the Deer Head Inn, which bills itself as the "oldest continuously running jazz club in the country." Long may it prosper, for there are good musical things happening there. Big bands and their leaders have always had small groups:from Benny Goodman to Stan Kenton, and Woody Herman and Tommy Dorsey included. This is the first time I've heard Five Play in this configuration. I was pleasantly surprised. They give you a lot of looks, some Blakeyish, some Ornette, and some distinctively themselves. The can bop, swing and bossa, sometimes in disconcerting juxtaposition.And they do their share of originals. Nothing staid about their repertoire. The live set opens with that famous jazz standard "Que sera,sera." I'm being facetious. It's been a few years since I heard it, and certainly not the arch reading that Fiveplay gives it. There are romping solos by Tomoko Ohno and Noriko Ueda, two thirds of a seriously cooking rhythm section. Janelle Reichman , who doubles on clarinet and tenor sax makes a nice statement. Reichman's clarinet playing is, to say the least, technically assured, but it can be quite beautiful and thoughtful as well, as her solo on "I'm in the Mood for Love" shows. She takes a long solo on "Struttin' With Some Barbecue" as does Jami Dauber who plays very nice and extremely tasteful jazz. Her trumpet lead gives the group a much bigger sound and presence than I would've expected. As to adventuresomeness, the originals by Ohno and Ueda are supplemented by "Bao Dat May Troi," a Vietnamese folk song that works very well. There is the traditional Shenandoah, beautifully played too. 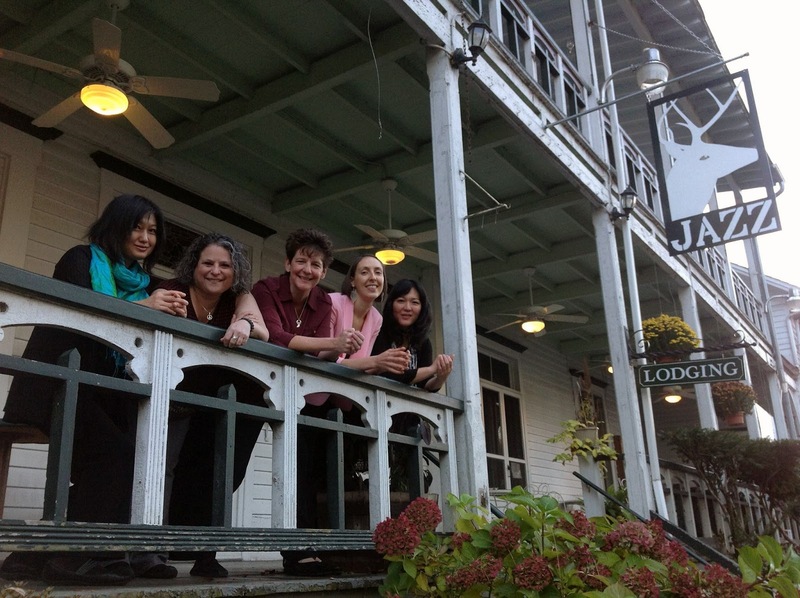 I will never accuse Maricle of sticking to the tried and true with Diva, her big band, again. As for Sherrie, well, Sherrie plays like Sherrie. For someone ostensibly inspired by Buddy Rich, she is awfully musical. She really plays the drums, including the bass drum, in a way that I'd associate more with Mel Lewis. Her brushwork is inspired and occasionally, her time just seems to float. But she has help. Dauber plays a wonderfully reflective muted solo on "I'm in the Mood for Love" that put me in mind of Warren Vache not that she needs anyone's endorsement. You want up-tempo shouting? The session closes out with "Organ Grinder's Swing" which really gets rolling, propelled by hot choruses by Dauber and Reichman. Everyone gets into the act. 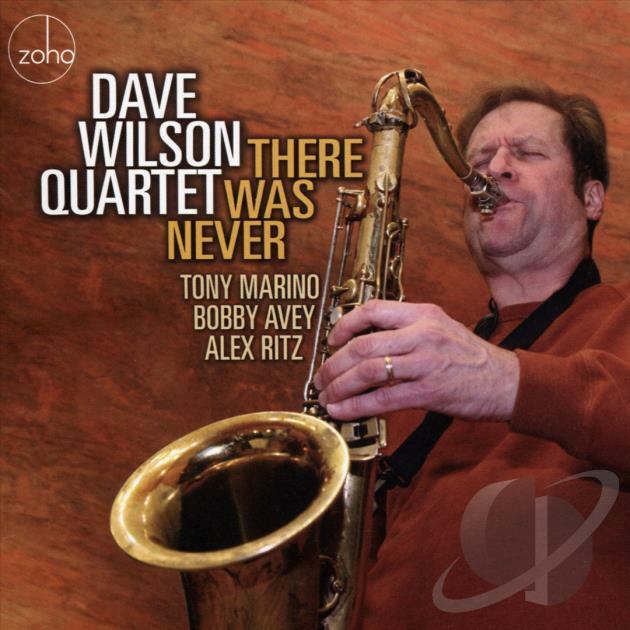 Saxophonist Dave Wilson cuts an imposing figure on the cover of There Was Never, his fourth album in total and his first on the Zoho Music imprint. There's intensity fixed on his face, with eyes closed in concentration and embouchure set for attack. And then there's his tenor saxophone. It has a larger than life presence in the photo. This is the picture of a man on a mission, a leader who knows what he wants, a musician who knows how to handle his horn. The music, thankfully, says the exact same thing(s). 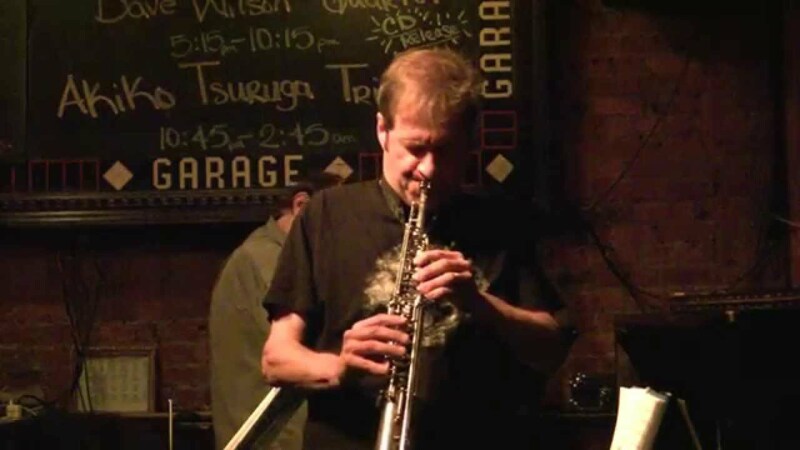 Wilson, a fixture on the Pennsylvania jazz scene, has focused on the quartet format with all of his albums—Through The Time (Self Produced, 2002), My Time (DreamBox Media, 2006), Spiral (Summit Records, 2010), and this engrossing date. But that doesn't mean he's settled on a formula. Quite the contrary, in fact. Wilson is still working things out, trying new things, and altering lineups. He's finding different ways to explore the most familiar of formats and he sounds great doing it. 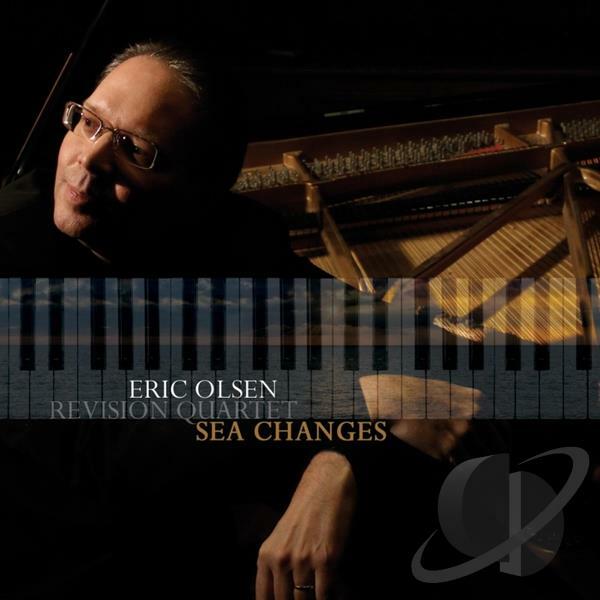 Here, he teams with rising star pianist Bobby Avey, a bold adventurer who dissects harmonies and grooves in unexpected ways; drummer Alex Ritz, a firm yet malleable presence behind the kit; and Tony Marino, a ballasting bassist who happens to be the only holdover from Wilson's previous outing. They make for a strong grouping, a bit more unpredictable and restless than the band that appeared on Spiral. The album kicks off with "The Time Has Come," a tilted Afro-Cuban winner that finds Wilson marking his territory with some assertive blowing and Avey delivering a choppy statement of his own. Wilson then switches to soprano for a jammy jaunt through The Grateful Dead's "Cassidy" and a euphonious "God Only Knows" that wisely avoids complication. From there he further diversifies. There's a groove-morphing "There Was Never," a song based on "There Will Never Be Another You" that keeps the rhythmic change-ups coming; a vibrant "Smooth Sailing," singing and rolling along with calypso-ish glee; "Master Plan," a number that juxtaposes Coltrane-esque intensity against an open framework that's more in keeping with Ornette Coleman's work; and a Brazilian-based "Feeling Peaceful," a number that's far more mutable than your typical beach-friendly bossa nova. These are protean players who take joy in stretching an idea, but they never completely upend the music. They create squalls and then weather them together. 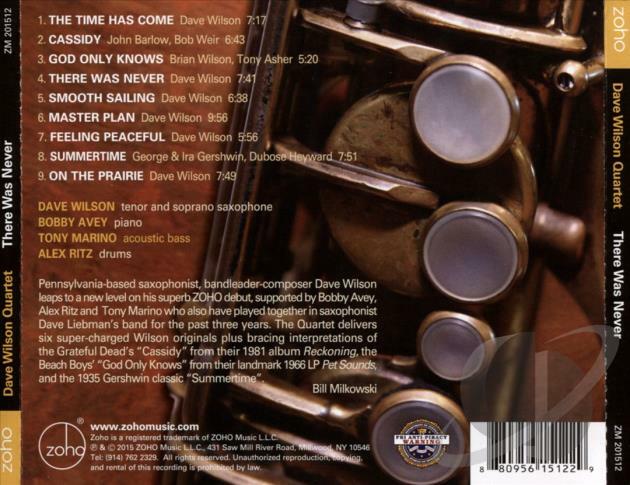 The final two tracks on the album—a 12/8 rewrite on "Summertime" that's more fire music than spiritual and a free jazz finale dubbed "On The Prairie"—simply further the notion that Dave Wilson is anything but set in his ways. There Was Never is as complete a musical statement as you can come by these days. Dull moments seem to be the only thing missing from this package. 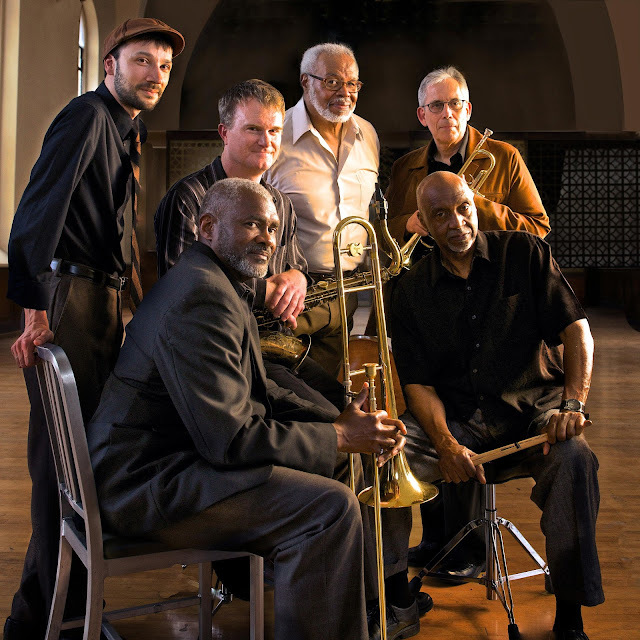 "Sometimes, it feels like Cincinnati is the musical underdog, but you won't find another city this size with the Jazz scene we currently have, and the rich history and traditions," Karlsberg said. - Bassist Jim Anderson, who has worked with the notable Art Blakely, Ernestine Anderson, Hank Crawford and Nat Adderly. - Drummer Art Gore, who has performed with George Benson, Teru Nakamura and Herbie Hancock. Year, and has had four Top-10 albums on Billboard’s Contemporary Jazz chart. - Saxophonist Brent Gallaher, who has toured with the Glenn Miller Orchestra and the Tommy Dorsey Orchestra. - Trombonist Marc Fields, who toured with the Ray Charles Orchestra, six times. 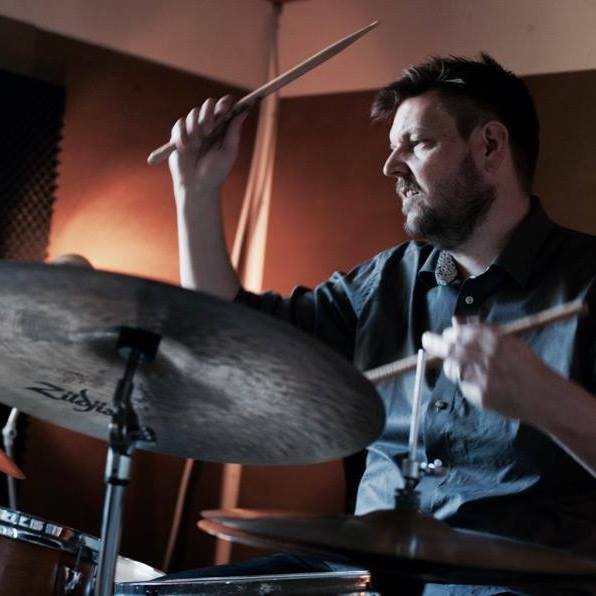 Tranquil tidings, flowing gestures, sweeping statements, curious encounters, and triumphant displays are all incorporated into the music of Danish drummer Thomas Albæk Jakobsen's FLUX. For the band's second album, following Relationships (Self Produced, 2013), Jakobsen sought to highlight the group's development during the two year span between records. That aspect of the work is something that musicians in the band and their longtime fans will likely appreciate. But for those unfamiliar with this outfit and its debut recording, Voyager is a more than sufficient introduction. 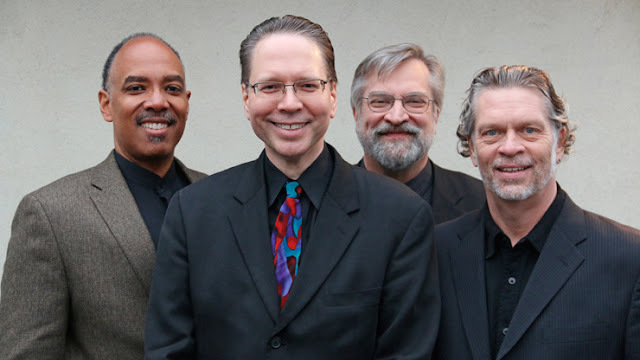 Over the course of eight originals, Jakobsen and his countrymen—multi-reedist Ole Visby, guitarist Michael Moller Porsborg, pianist Soren Moller, and bassist Kenneth Dahl Knudsen—create music that speaks with sincerity and directness. The work often projects itself in simple ways, but there's veiled complexity behind these creations. Sometimes that sophistication can be uncovered in the way the music takes on certain dimensions or shows with a certain sheen; elsewhere, it's the soloists who carry the day and create high art from basic ingredients. There's no set formula here, and each piece has its own tales to tell. "Spirit Soul" says it all with its title, though the story is also in the development; "Ballad," which benefits from Moller's soloing, isn't as cut and dry as its name may imply; "Departure," which starts with shadows and breathy sounds before harnessing light, features some standout work from Knudsen and Visby; and "Muggy Dusk" is at the edge of darkness, with Visby's bass clarinet and Porsborg's guitar slowly traversing a desolate landscape. The second half of the album, with the controlled enthusiasm of "ParaJive," the trippy electro-swirl of "Bricks," the optimism of "Scenery," and the uncertain yet prayerful "Long Johns," proves to be just as interesting. Si usted tiene esa suerte de obsesión que a veces me toma por asalto con respecto al lenguaje, no se tome el trabajo de ir al diccionario de la Real Academia Española si lo que quiere es averiguar el significado del título del disco que nos ocupa. El epíteto, para la RAE, no existe. Tampoco se trata de un vocablo conformado por, digamos, las primeras sílabas de los nombres de los músicos. No. Intentar trasladar lo ante-definido al terreno de la música ya de por sí amenaza con ser algo dificultoso. Y si se trata de música instrumental, la ecuación seguramente resultaría (resulta) más compleja. 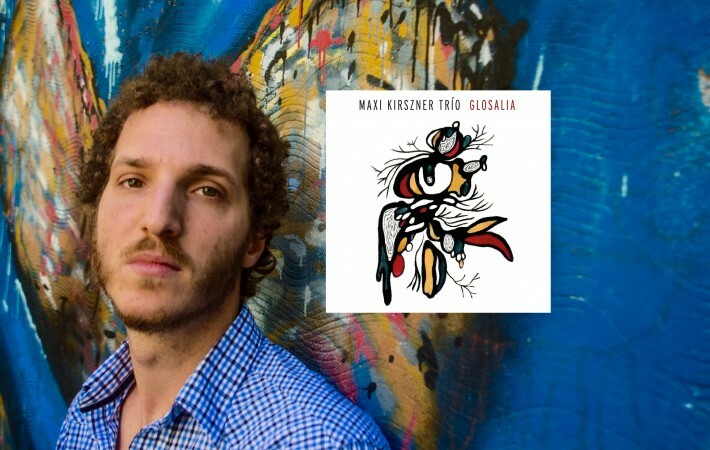 No obstante, ésa parece haber sido la intención del contrabajista y compositor argentino Maximiliano Kirszner a la hora de pergeñar su álbum debut como líder. Nacido en Buenos Aires en 1987, Kirszner participó –con 13 años, en la secundaria- de una banda de rock que fue, paulatinamente y con los años, adoptando elementos de la libre improvisación. La escucha de Ah Um de Charles Mingus y material de otros referentes jazzísticos, lo lanzó a intensificar sus estudios. Tomó clases de contrabajo con Carlos Vega, Jerónimo Carmona y Hernán Merlo. También estudió con John Hébert, William Parker, Rodrigo Domínguez, Carlos Lastra y Enrique Norris y es egresado de la Carrera de Jazz del Conservatorio Superior de Música Manuel de Falla. Es uno de los músicos locales más requeridos por sus colegas. Integra en forma estable los tríos del trompetista Enrique Norris y los pianistas Ernesto Jodos y Santiago Leibson, el cuarteto del guitarrista Patricio Carpossi y el de la pianista Paula Shocron, el quinteto de la cantante Jazmín Prodan, el de la pianista Tatiana Castro Mejía y el del baterista Andrés Elstein. 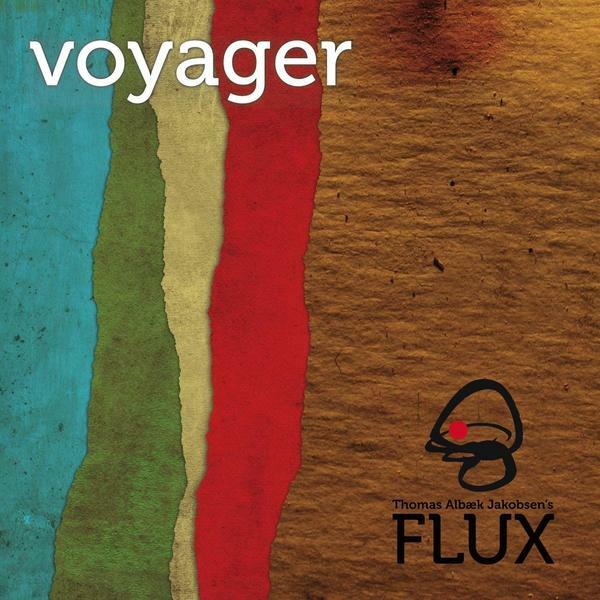 Ha tocado con varios músicos extranjeros como John Hollenbeck, Giovanni Guidi, Austin Peralta y Gianluca Petrella. Ha participado de los más prestigiosos festivales de jazz de la Argentina y cumple su rol como docente dictando clases de contrabajo en la Orquesta de Cuerdas de Cutral Có (Neuquén) y en el proyecto Orquestas y Coros para el Bicentenario (Ministerio de Educación de la Nación). A principios de 2014 Kirszner comenzó a componer una serie de temas que eran interpretados por un cuarteto donde lo acompañaban Juan Filipelli en guitarra, Santiago Leibson en piano y Fermín Merlo en batería. Pero se produjo un punto de inflexión: Leibson se fue a vivir a los Estados Unidos y, en lugar de buscar un reemplazante, el contrabajista decidió reformular grupo y propuesta. Así quedó conformado su trío actual que cuenta con los aportes del mencionado Merlo en batería y de Nataniel Edelman en piano. El 25 de noviembre de 2014 el trío registró el material que formaría parte del disco que nos ocupa y que lleva por título, como ya hemos dicho, Glosalia. 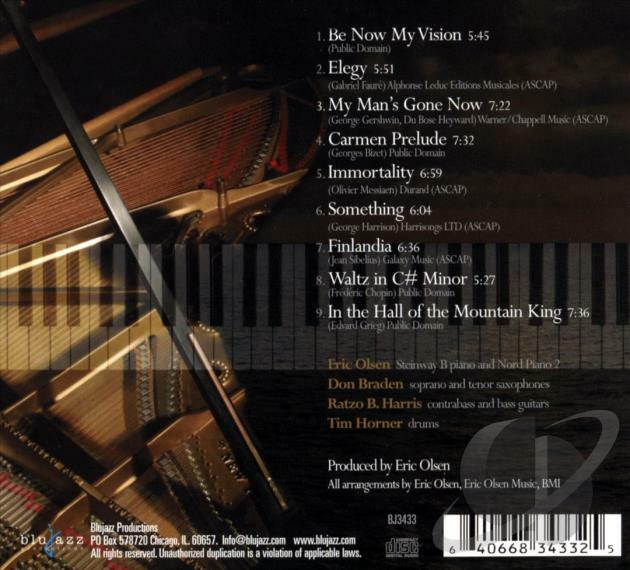 Para su álbum debut, Maximiliano Kirszner ofrece 9 composiciones propias (la restante pertenece al pianista Edelman); pero lejos está del remanido primer disco de un contrabajista donde el líder se preocupa por demostrar sus bondades individuales por encima del desarrollo grupal. Afortunadamente, en esta ocasión, si no contáramos con la información previa necesaria, luego de escuchar Glosalia no nos resultaría sencillo poder determinar al responsable máximo del disco donde los momentos de liderazgo, protagonismo y destaque se alternan en adecuadas y atractivas dosis. El inicio, con la breve Alusión, es brillante, con el trío inmerso en un mix de jazz, free, libre improvisación y avant-garde que corta el aliento. Los primeros acordes de Kinski (¿Klaus o Nastassja?) traen la calma con el piano de Nataniel Edelman haciendo las veces de (muy buena) voz cantante mientras Kirszner y Merlo trazan una base contundente e impredecible. 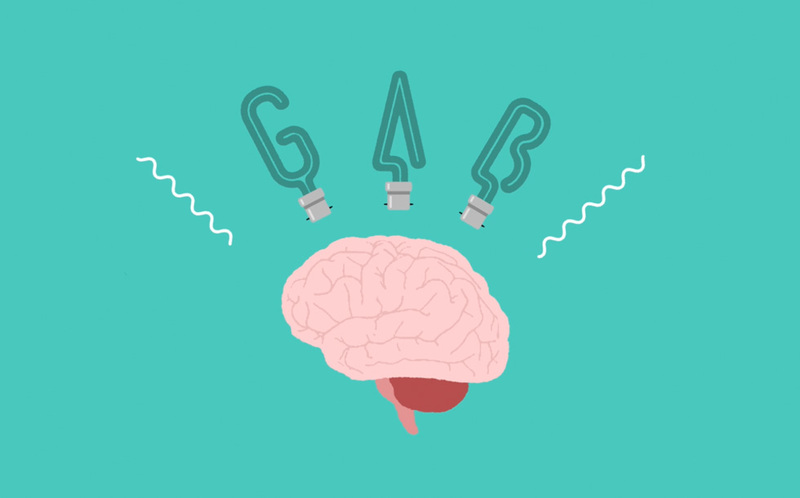 Un in-crescendo, un de-crescendo hasta una ascética calma. Nombre movible (tema que supo ser interpretado por el trío del trompetista Enrique Norris y que aparece en su reciente La hora de ahora, ¿es de ahora?) que amaga como una obra de Penguin Café Orchestra pero que rápidamente vira hacia un straight jazz donde los tres se encuentran con libertades provocadas y, a posteriori, asumidas. El tema que titula al álbum aparece como uno de los grandes momentos de Glosalia, con su paciente y aparente calma, sus espacios, sus silencios, su introspección, su desarrollo, las sutilezas, la armonía, cierto lenguaje no verbal, más bien cinematográfico, con “secuencias rítmicas y repetitivas (…) común en estados de trance o cuadros psicopatológicos”, recordando la definición de la RAE. El líder se destaca en un pasaje que lo tiene como lúdico y a la vez serio protagonista. El carácter experimental sigue presente en Cactus enredadera, en estado de tensión permanente y creciente, con elementos del jazz de vanguardia, destellos minimalistas y cierta atmósfera de algunas composiciones épicas del rock de los ’70. Kirszner despliega sus bondades en 1301, dos minutos a contrabajo solo que se disfrutan plenamente y que traen a la memoria a Rob Wasserman. Encuentro en Luciferina cierto paralelismo estético con Glosalia (el tema), tal vez con una mayor dosis de anarquía que le ha sentado muy bien a la composición y al álbum. Psicomotriz es una composición del pianista y se nota desde el comienzo mismo, llevando la voz cantante por encima de un complejo entramado a cargo de Kirszner y Merlo. 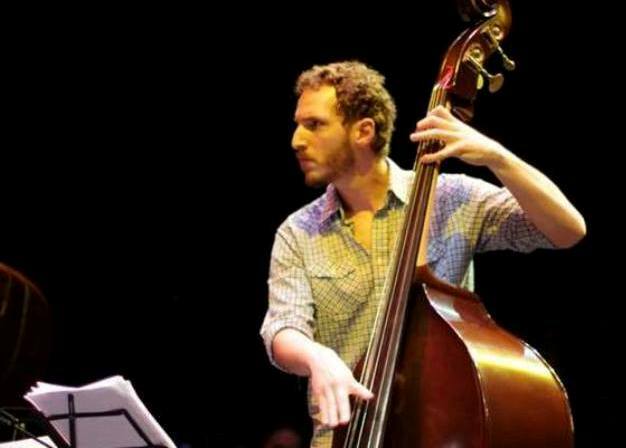 Hay destellos que recuerdan a Misha Mengelberg (en especial en sus trabajos junto a Joey Baron y Brad Jones). Una intensa calma sostenida por el bajista desemboca en una feroz y belicosa andanada de Edelman que apunta directo al estómago. Las tensiones se toman vacaciones para dar paso a una balada con el blues dominando la atmósfera aunque, hacia el final, asoma un inesperado carácter épico. El final del álbum es con Sonajeros, una composición de neto carácter intimista, espacioso y reflexivo, con protagonismos repartidos y exquisitas rendiciones de los tres músicos. 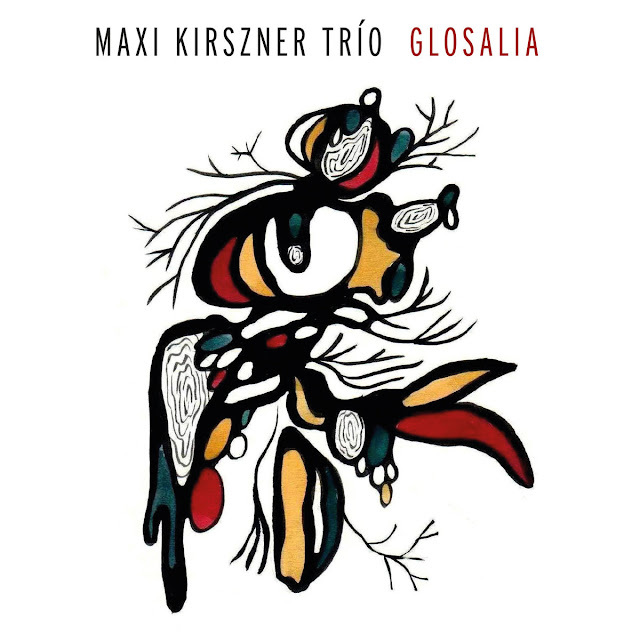 Maxi Kirszner, en compañía de Fermín Merlo y Nataniel Edelman, ha debutado discográficamente con Glosalia, un álbum espléndido donde queda claramente manifestada la (permítame la adaptación) capacidad natural de interpretar distintos lenguajes que desembocan en otro lenguaje -afortunadamente- poco explorado y que el trío transita con singulares sapiencia y pericia. Todos los temas pertenecen a Maximiliano Kirszner excepto Psicomotriz, que pertenece a Nataniel Edelman. All compositions by Maximiliano Kirszner except Psicomotriz, composed by Nataniel Edelman.